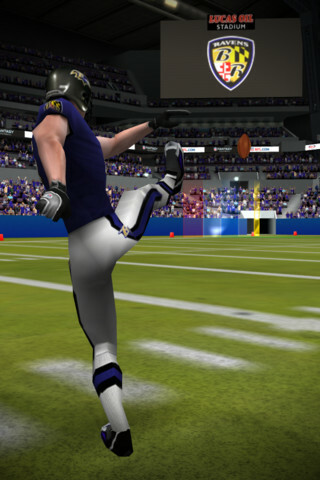 Developer Quote: "Become an NFL Kicker! 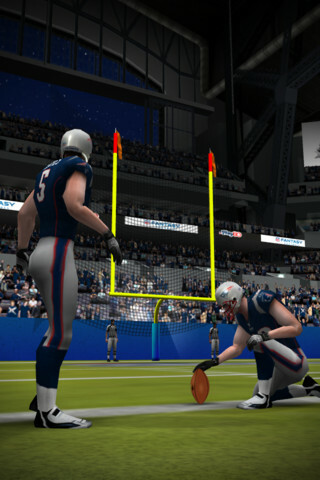 Choose your team, customize your player and get ready for the ultimate placekicker game." 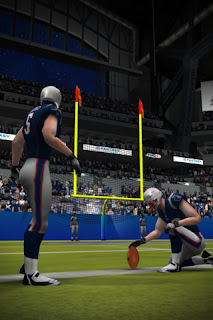 In NFL Kicker, you'll encounter some pretty cool graphics of a realistic game set in the Lucas Oil Stadium where you will star as the kicker. True-to-life, intricate stadium details will add the finishing touch to this sporty game app. When you target gold bars, you will get a bonus score. Pick your choice of play whether you race against the clock or focus on accuracy with wind and distance. Punt the ball to the end zone, and score bonuses for getting it close to Coffin Corner! Best of all, if you can hit the uprights, you can do it all! It's not all about games though as you'll get news from the live ticker. Additionally, you'll experience a high-spirited dance by no less than the cheerleading team! Flex your fingers and wrist, enjoy intuitive controls, and show your skill by flicking away at the ball in this addicting and exciting football game! COOL CONCLUSION: "NFL Kicker is the icing on the superbowl cake when it comes to playing thrilling football on your iDevice." --iOS/Age Rating: This app requires iOS 3.1 or later. Rated 4+.